Agricultural Science and Technology Indicators (ASTI) provides trusted open-source data on agricultural research systems across the developing world. 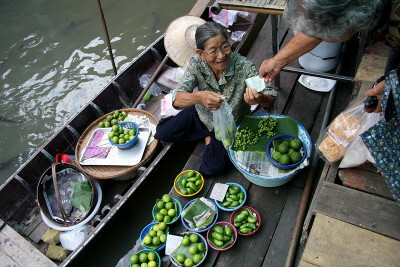 Led by the International Food Policy Research Institute (IFPRI) within the portfolio of the CGIAR Research Program on Policies, Institutions, and Markets (PIM), ASTI works with a large network of national collaborators to collect, compile, and disseminate information on financial, human, and institutional resources at both country and regional levels across government, higher education, nonprofit, and (where possible) private for-profit agricultural research agencies. Policymakers realize that higher levels of investment in agricultural research are key to increasing agricultural production to meet global needs. Despite this, many low- and middle-income countries struggle with serious capacity and funding constraints in their agricultural research and higher education systems. Quantitative information is fundamental to understanding the contribution of agricultural research to agricultural growth. Indicators derived from such information allow the performance, inputs, and outcomes of agricultural innovation systems to be measured, monitored, and benchmarked. ASTI fulfills a unique role in supplying the necessary information to promote an understanding of the status and direction of national agricultural research systems in developing countries. Such data constitute a powerful resource for national and regional research managers, policymakers, donor organizations, and other stakeholders. ASTI’s key indicators provide both a diagnostic tool for assessing the allocation and use of existing resources and an advocacy tool for increasing resources and improving the efficiency and effectiveness of resource use. ASTI data, for example, have been used to promote the recruitment and promotion of women in agricultural research and to advocate for higher and more stable levels of donor funding. ASTI’s objectives are to provide high-quality, up-to-date datasets on agricultural research; to conduct ongoing analysis of its datasets; to disseminate the results of its analysis to promote advocacy and support policymaking; and to build national and regional capacity for data collection and analysis. ASTI data and analysis contribute to the United Nations' Sustainable Development Goal 2 on achieving food security and improved nutrition. Specifically target 2a calls for an increase in investment in rural infrastructure, agricultural research and extension services, technology development, and plant and livestock gene banks in order to enhance agricultural productive capacity of developing countries.